This is the time for waterfalls on the summit. 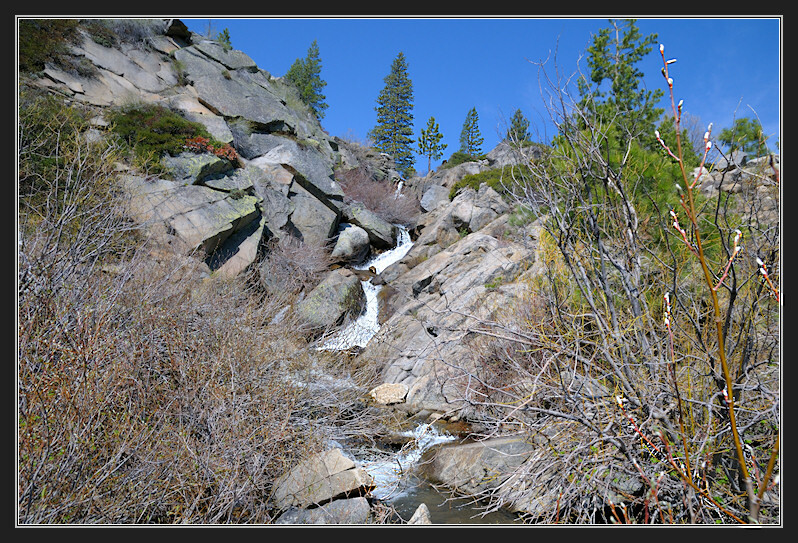 This is the falls at Donner Pass that only last for a few weeks in spring as the snow melts. They are not visible from the road so you’ll have to get out and do a little hiking to see these. Here is the location on a Google map.